Dr. Roe is a native Texan, born and raised in Dallas. She is a graduate of The Hockaday School. Dr. Roe received her Bachelor's degree from The University of South Alabama and received her Medical Degree from The University of Texas Medical Branch in Galveston in 1993. Dr. Roe completed her Residency in Obstetrics and Gynecology at Methodist Hospital and Parkland Memorial Hospital in Dallas in 1997. After many years in private practice at Presbyterian Hospital of Dallas, in 2010 Dr. Roe retired from private practice to pursue her dream of volunteering for Medecins Sans Frontieres (MSF)/Doctors Without Borders. Since 2011 she has completed 7 assignements with MSF to Sri Lanka, Nigeria, Sierra Leone, and South Sudan where she practices complicated Obstetrics in remote settings. 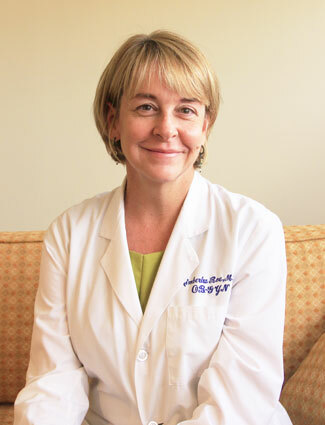 Dr. Roe joined Dallas Women’s Healthcare Specialists in 2012 where she practices Gynecology. She also works part-time as an OB/GYN Hospitalist and remains a field volunteer for MSF. Dr. Roe enjoys getting to know her patients on a personal level and has a genuine interest in her patients’ overall health. She particularly enjoys the long-term patient relationships inherent to Obstetrics and Gynecology and loves teaching and empowering her patients through education. Dr. Roe lives in the Bishop Arts area with her partner Richard and their loyal canine companion, Benjamin, and their cats Hazel and Duke. Dr. Roe cherishes her time with family and friends and enjoys travel, humanitarian aid, live music events, the arts, distance swimming, scuba diving, cycling, gardening, entertaining, and cooking.